Showtime is becoming the place where great talents can go to do the things that no one else will let them do. David Lynch can't get a movie funded anymore, but the cable network gave him millions of dollars and 19 hours of primetime to make Twin Peaks: The Return, the most capital-A artistic thing that's ever been on television. In a time when studios are more cautious than ever, Showtime gave Sacha Baron Cohen cover to do borderline illegal comedy on Who Is America? And now, with Escape at Dannemora, Showtime is letting Ben Stiller direct an ambitious, dramatic limited series — in which he does not appear — that looks and feels like a '70s New York thriller. You can't imagine Paramount Pictures letting him do that in 2018, can you? Dannemora — which premieres Nov. 18 — isn't so much based on a true story as it as a meticulous recreation of the actual events. It tells the story of the escape of convicted murderers Richard Matt (Benicio Del Toro) and David Sweat (Paul Dano) from the maximum-security Clinton Correctional Facility in Dannemora, New York, with the help of Tilly Mitchell (Patricia Arquette), who runs the prison's sweatshop and has affairs with both prisoners. The first five episodes are setup, immersing viewers deep in Dannemora life inside and outside the prison and in the characters' elaborately twisted psyches as they plan their escape over the course of several months. The sixth is a format-breaking flashback to how they all ended up in the prison, and the feature-length finale covers the 23-day manhunt that riveted the country in the summer of 2015. Stiller, who directs from exhaustively researched scripts by creators Brett Johnson and Michael Tolkin, gives the show you-are-there authenticity heavily influenced by blue-collar '70s thrillers like The Taking of Pelham One Two Three. Adding to the realism is the fact that Dannemora didn't fudge New York City locations even though it could have; Dannemora is filmed on location in northern New York, near the Canadian border, and some of it is even shot inside the prison. The prevailing adjective for the whole operation is "gritty," from the hardscrabble setting to the grainy photography to the de-Hollywood-ed visages of Del Toro, Dano, David Morse, Eric Lange (a revelation as Lyle, Tilly's loyal lug of a husband) and especially Arquette, who gained 40 pounds to play a femme fatale unlike any other ever put to screen. The series is driven by the performances of three of America's greatest actors working at the top of their games. Del Toro is doing his patented weird Del Toro thing as nihilistic alcoholic puppet master Richard Matt, which becomes even weirder when placed in such a grounded setting. He plays Matt as a man who is not afraid of anything not because he's courageous, but because he doesn't care about any human life, which manifests in absurd ways. In Episode 3 he draws out the last syllable in "Don't tell anybody!" out for so long that it becomes a goofy joke that drips with menace. He's having fun being so bad. As Sweat, Dano is frazzled and intelligent. He could have been an engineer if life hadn't gone so badly and he didn't have such a violent temper. He's just trying to get by, until Matt comes to him with the escape plan and shows him another way to get by. And Arquette is remarkable as Tilly, who dreams of a life of excitement far beyond what Dannemora can provide, and so she gets her kicks in dangerous ways. She does a wild North Country whine, a psychedelic version of a Midwestern accent. She's like a sentient gripe. The only knock on the series is that it's sometimes too authentic. It goes places in the name of realism that entertainment doesn't need to go. It's exploitative to film in an active prison; the inmates can't consent to not being allowed to use their yard while the show is filming. And Richard Matt was a terrible person, but it's still grimy to recreate his death scene in the actual spot where police killed him (that's not a spoiler because this was the news). But for this lapse of taste, blame ultimately goes to New York governor Andrew Cuomo (played on the show by The Sopranos' Michael Imperioli), who allowed the production to film in the prison when he should have said no. At least it brought some economic activity to a depressed area. As a work of documentary fiction, though, Escape at Dannemora is a success. It's a thrilling tale of institutional corruption and moral rot. 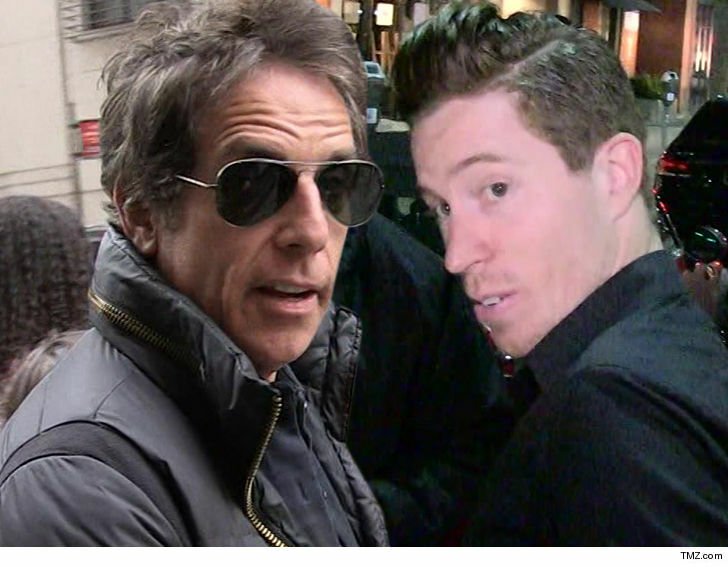 It proves that Ben Stiller is the serious director he always knew he could be. It just took a return to TV to make it possible. Escape at Dannemora premieres Sunday, Nov. 18 at 10/9c on Showtime.